This video celebrating 40 years of Blackburn’s product innovation for those seeking adventure by fiets looks pretty rad. Admittedly, the thought of being off the grid, just your bike, your gear, and some like-minded friends sounds awesome. Except the thought being off the grid also gives me incredible anxiety. 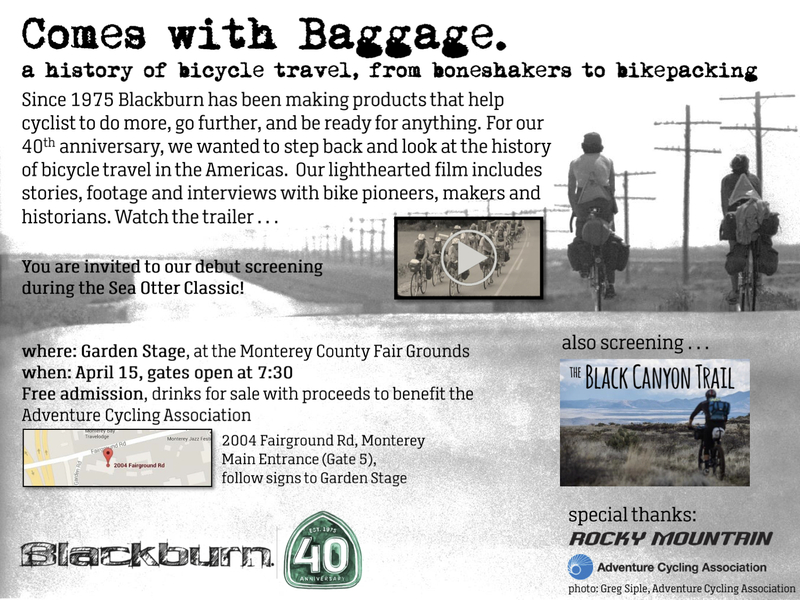 Full length film will debut at Sea Otter. Full details in the flyer below.